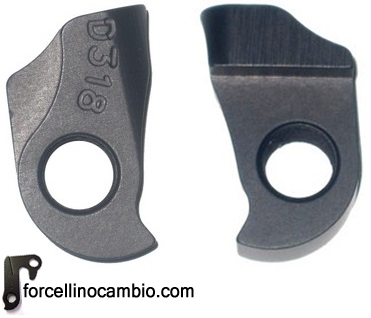 Derailleur hanger for bicycles Lapierre . All models available in 24 hours. Order now online on our website the model suitable for your bike . If you do not find the dropout for your bike , please contact us , we will strive to find the model dedicated . 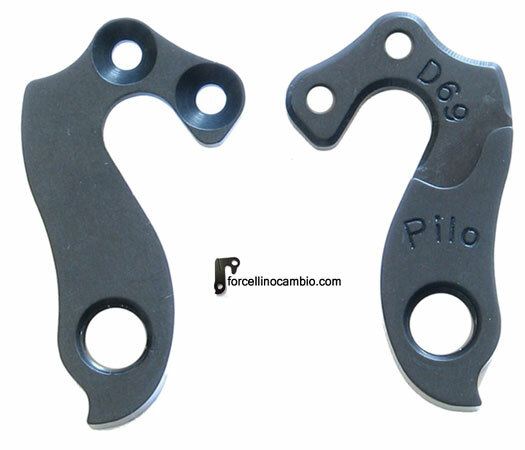 Lapierre Audacio derailleur hanger 6061 T651, made with CNC technology. Black anodized. Lighter and more durable than the hanger series. Derailleur hanger original Lapierre DH 2015. Lapierre Froggy 2010 derailleur hanger 6061 T651, made with CNC technology. Black anodized. Lighter and more durable than the hanger series. 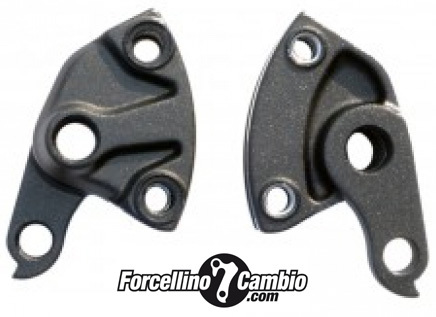 Lapierre Froggy 218 2011 derailleur hanger 6061 T651, made with CNC technology. Black anodized. Lighter and more durable than the hanger series. 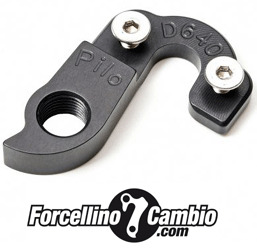 Lapierre Froggy 518 2011 derailleur hanger 6061 T651, made with CNC technology. Black anodized. Lighter and more durable than the hanger series. Lapierre Froggy 718 2011 derailleur hanger 6061 T651, made with CNC technology. Black anodized. Lighter and more durable than the hanger series. Derailleur hanger original Lapierre Overvolt AMi Bosch 2018.